The antennae-like sticks on the lunar masks communicate with the power of the moon and reveal a direct relationship with the ancestors. 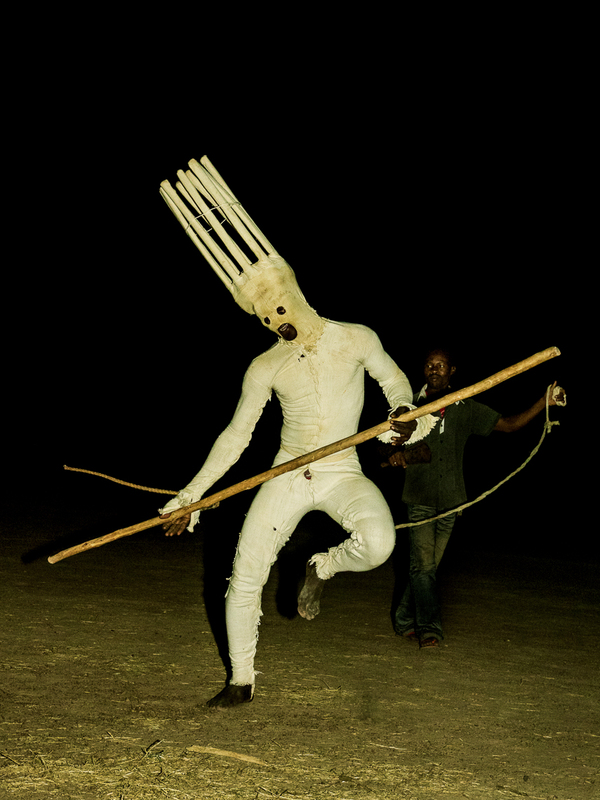 The maskers use a long staff to vault high into the air; the belief is that they thus project themselves toward the moon, into the invisible world, to capture its power. The masker is attached by a cord to a guardian who protects him.